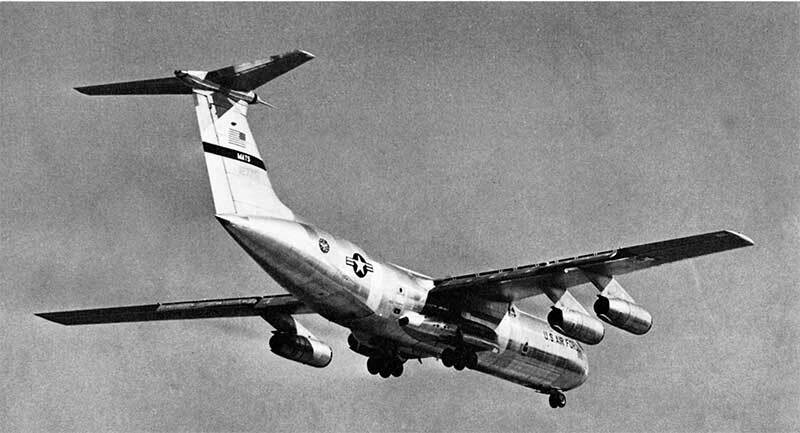 This "A" model C-141 is the very first built. 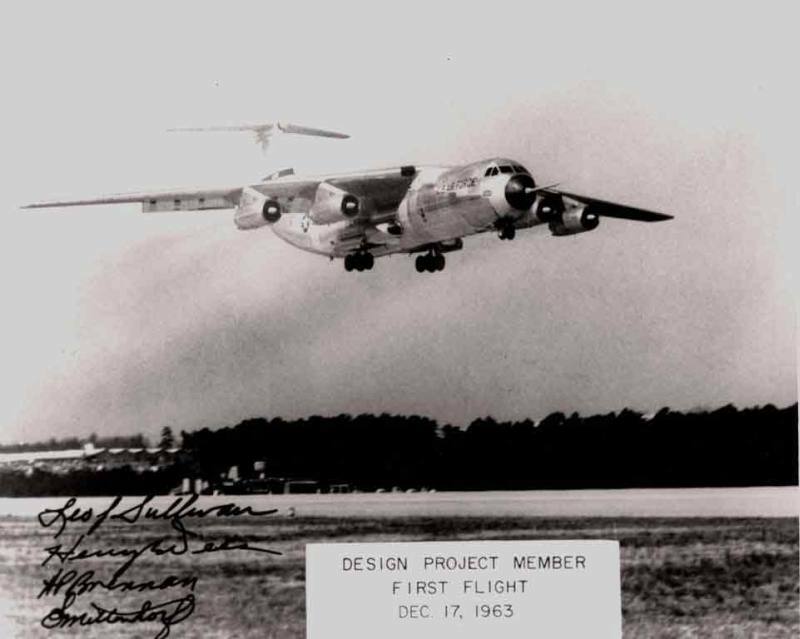 Its maiden flight took place on 17 December 1963, the 60th Anniversary of the Wright brothers first flight. 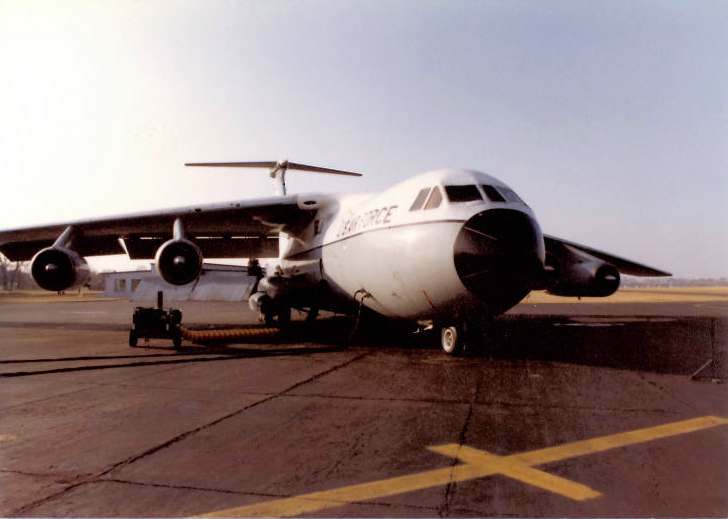 This Starlifter spent its entire career as a test aircraft in numerous programs. 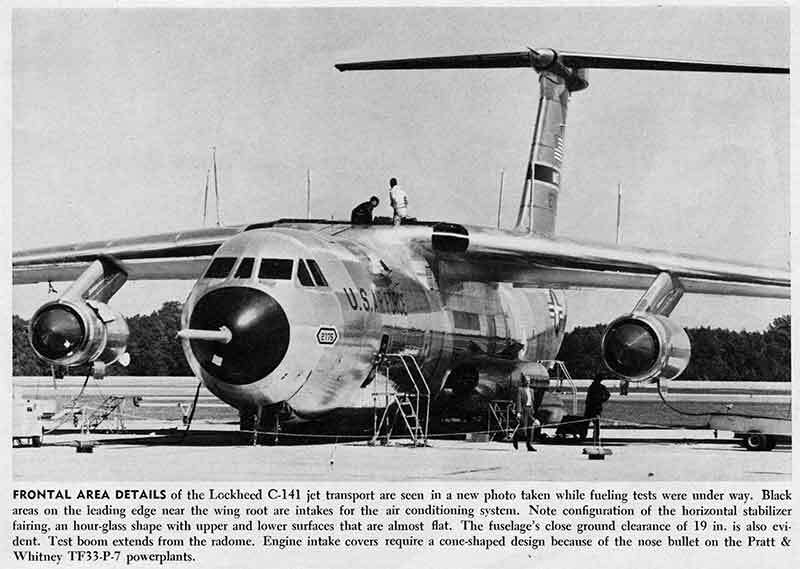 It was one of only four C-141's that was not modified into the B model configuration. 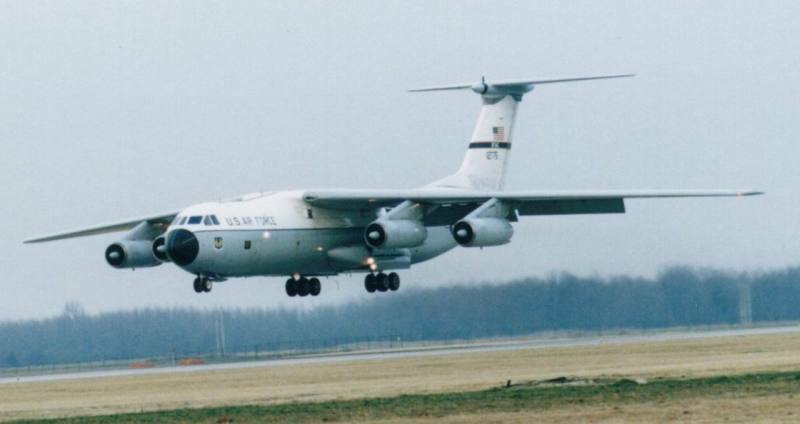 This Starlifter spent its entire career as a test aircraft in numerous programs. 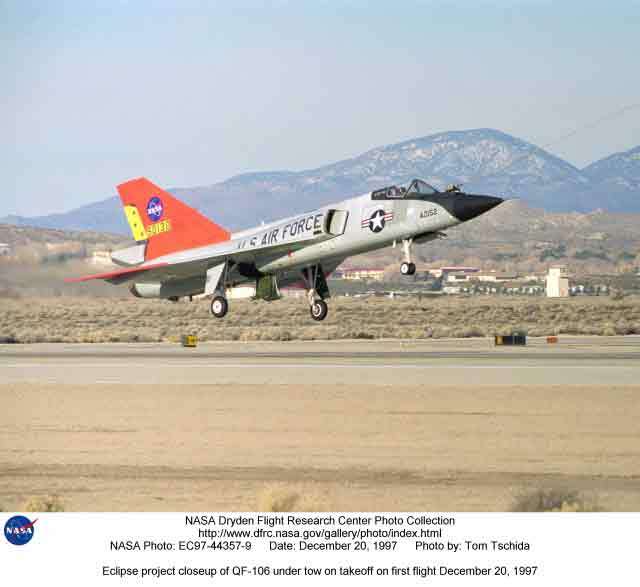 Just before being retired to the AMC Museum at Dover, it was used to tow an F-106 fighter on a 1000-foot long towrope as a test to study the feasibility of launching the next generation of Space Shuttles from in-flight. 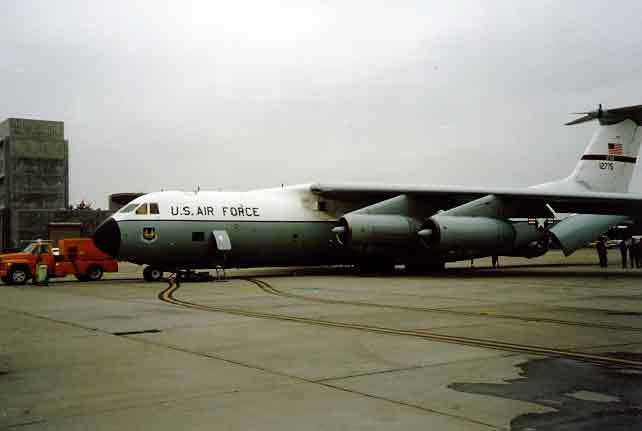 Now on static display at Dover AFB Delaware it was added to their collection in February, 1998. 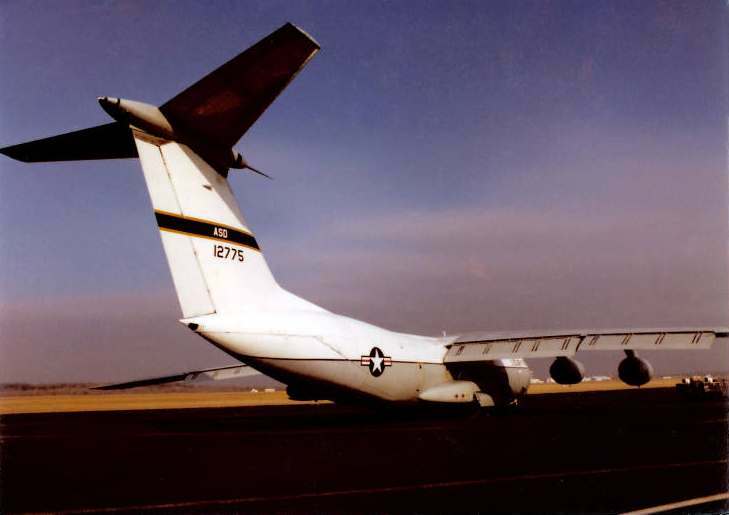 It sits near another C-141B. 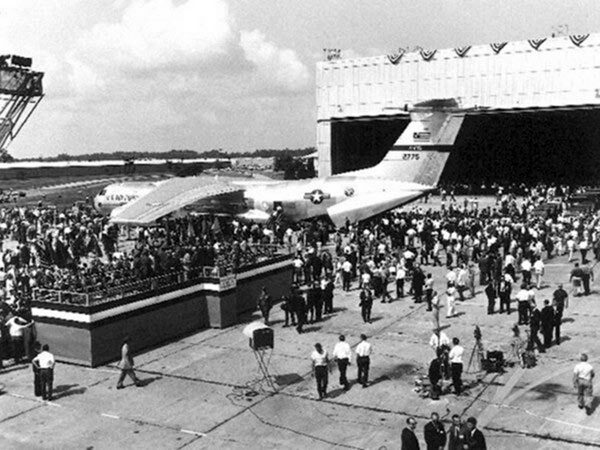 The rollout of the FIRST C-141 at the Lockheed plant in Georgia. 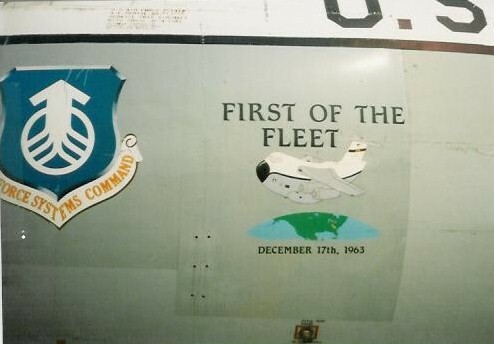 Source:Dave Grant from Lockheed archives. 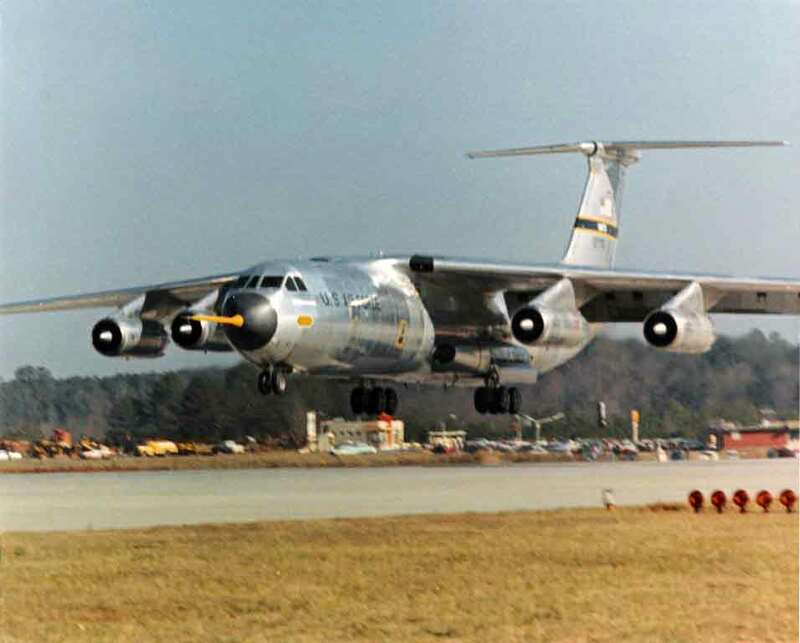 Landing after the first flight. 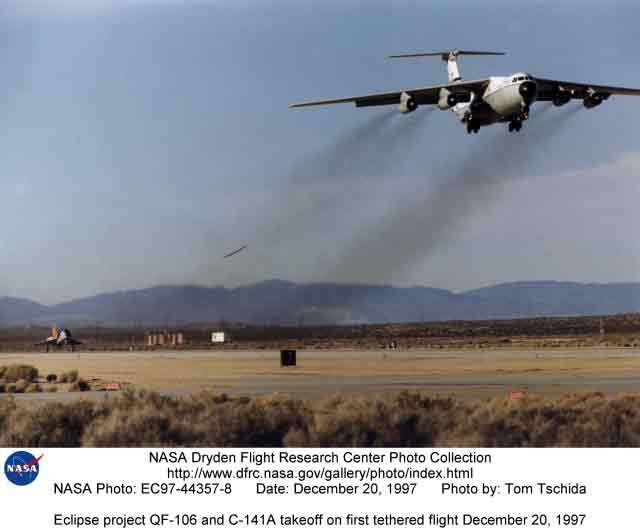 Landing after the first flight. Signed by the crew. 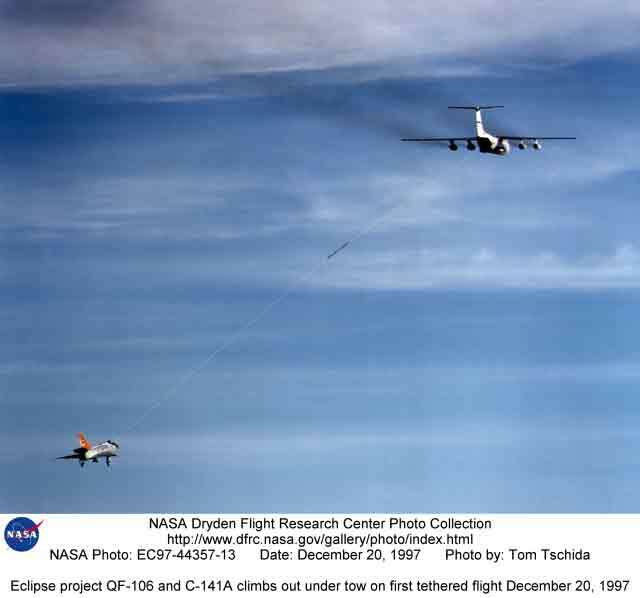 NASA conducted some experiments in the late 1990's to see if it was practical to TOW a spacecraft into the air, from which it would be launched into space. This was called Project ECLIPSE. There are hi-resolution stills and some movies to view as well. In August of 2006 I made the mistake of buying a copy of the project report from a yahoo on eBay, who appears to have simply grabbed thing from the NASA website and printed it. Spend your $25 on beer instead and just download your own copy, courtesy of NASA. 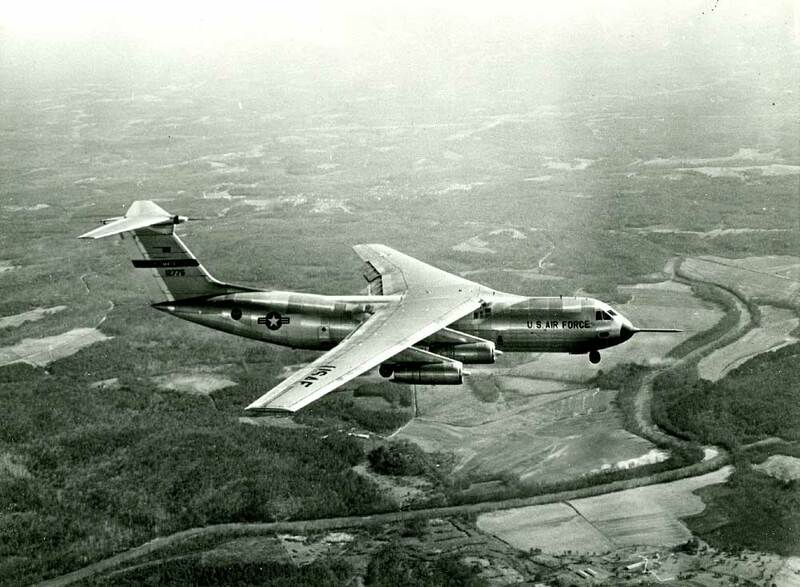 Ok, it's not a C-141, but it is ATTACHED to ONE!!! Right click here to download cool movie clip showing a few seconds of this crazy experiment. 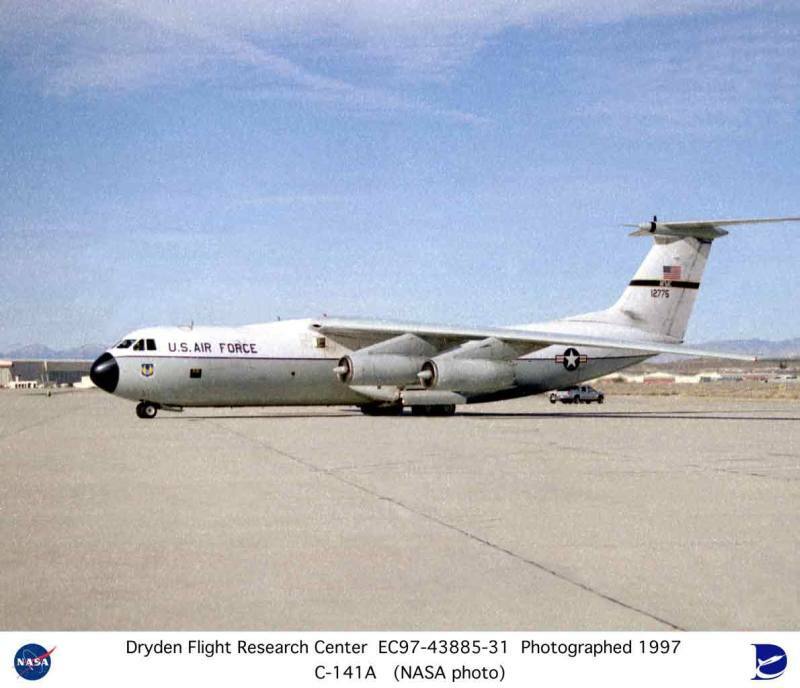 The following three photos were taken in February, 1981 at Wright-Patterson AFB by Skip Daly. 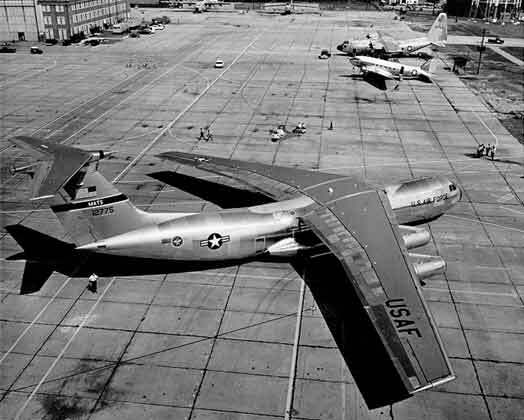 At that time, 61-2775 was assigned to the 4953rd Test Squadron in the 4950th Test Wing. 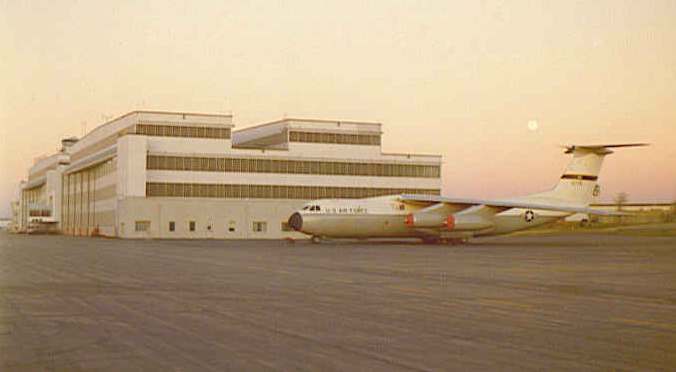 The test wing was part of the Aeronautical Systems Division (ASD) of Air Force Systems Command (AFSC).